Summer has arrived! School’s out, so kids everywhere are back home and excited to play and have fun. Of course it doesn’t take long before that excitement turns into boredom and a lack of motivation prevents ideas for fresh ways to fill their time. We all know that responsibility always falls on the parents! But never fear! In celebration of the school break, we’ve put together a short list of some of our favorite activities for kids (and the entire family) to help inspire you through the summer doldrums. Have the kids choose a theme for the summer and create a photo album or collage around it. It’s a great long-term, ongoing activity and when completed can be cherished as a special keepsake. 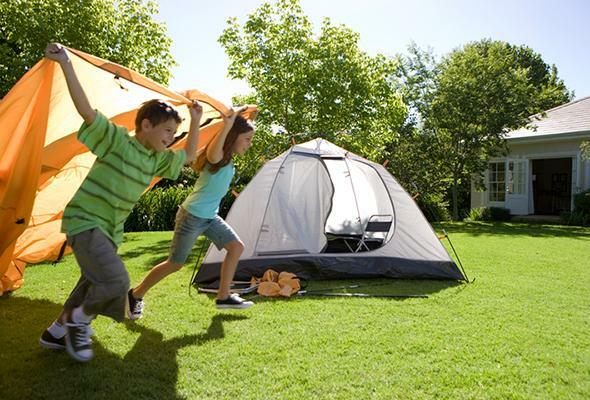 Plan a camping trip in your backyard! Bust out the tents, tell some stories, and foster your kid’s love for the outdoors without the need for travel. Go to the park! Whether it’s to have a picnic or to toss a Frisbee around, the park is both fun and relaxing to visit. Start a “small” business. Be it the good ol’ fashioned lemonade stand or another creative idea the kids come up with, it will be a great learning experience that they will be proud of. And don’t forget SKECHERS offers the best fun footwear styles for boys and girls that will complement any of these activities. Have any tips of your own to share? Let us know in the comments!